Nose: Rich, delicate wood aromas, fresh leather, nutmeg & hazelnuts, traces of English toffee. Palate: Light & balanced, characterizing the best of Grande Champagne with its strength & complexity. Long & clean. 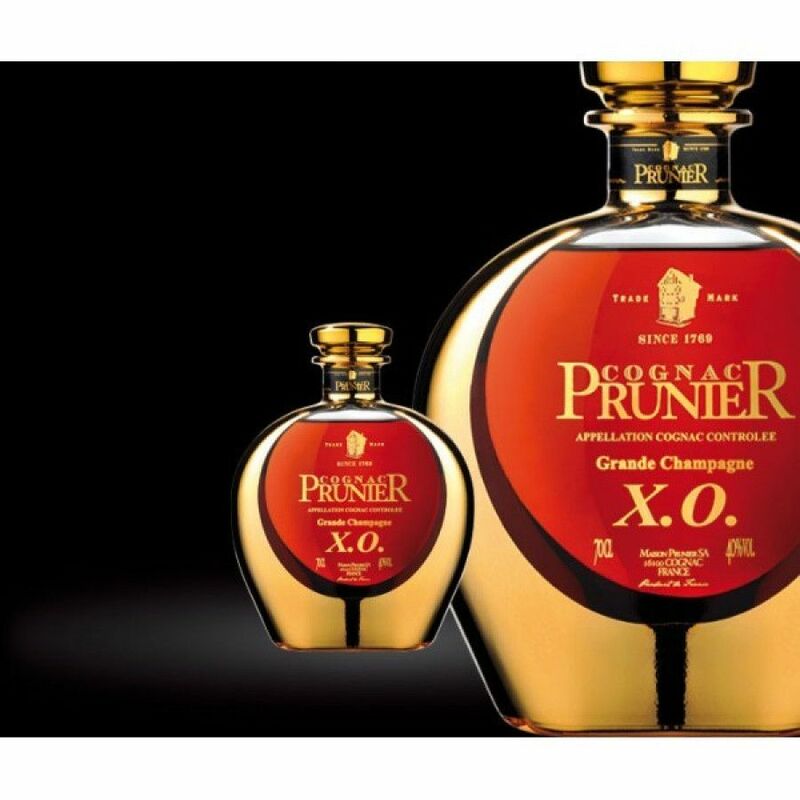 The Prunier XO Grande Champagne Cognac is a delight from the premier terroir of the region. A complex yet smooth and well-balanced blend, the cognac is presented in an attractive decanter that displays well. When sipped this is an eaux-de-vie that takes you on a true journey of the senses, from the first woody aromas through to the deeper tones of leather, nutmeg, and toffee. The perfect end to a good meal, the cognac also has the depth of character to be the perfect accompaniment to a good cigar. A great all-round, high quality choice that offers exceptional value for money.